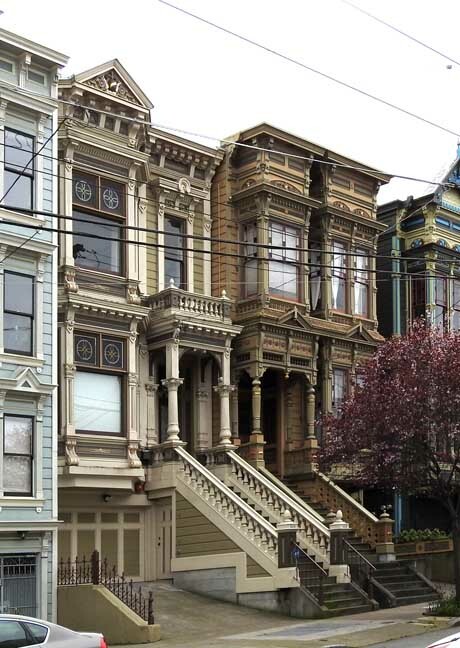 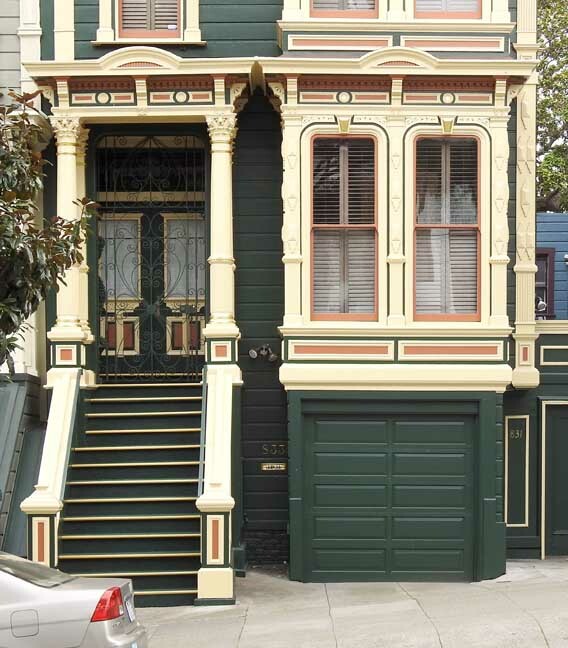 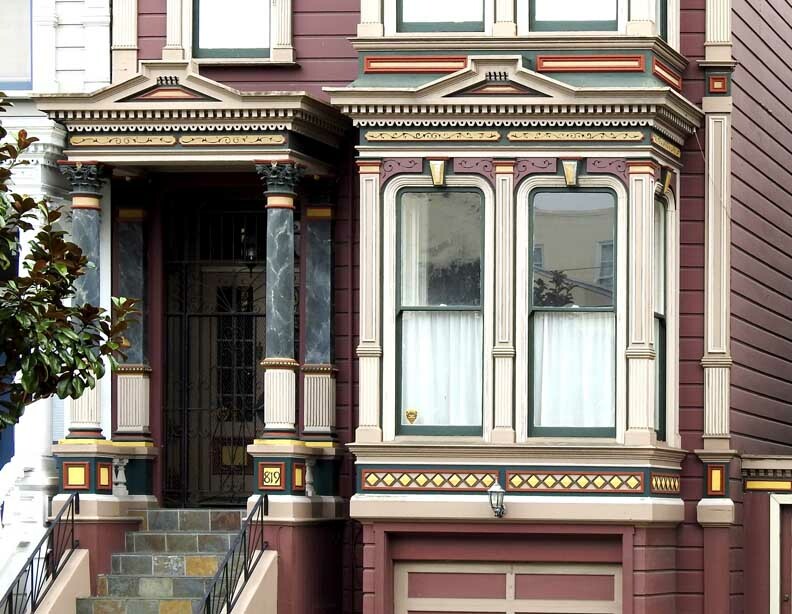 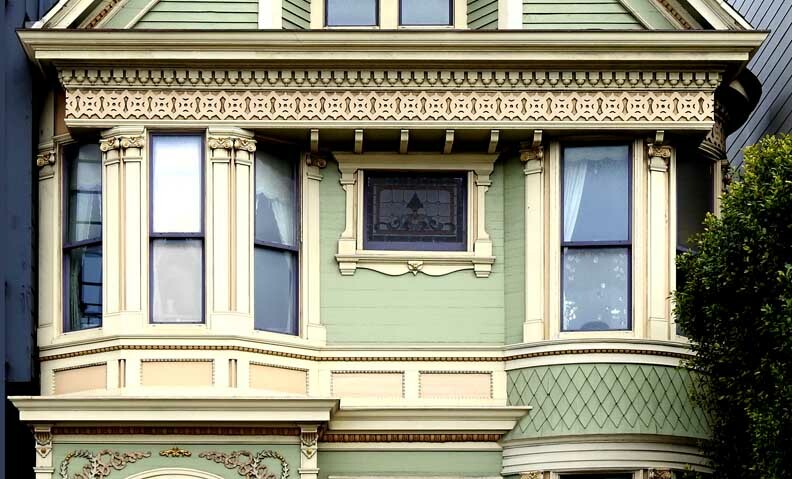 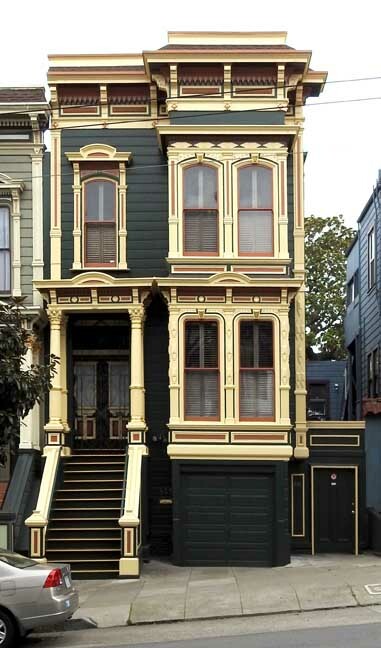 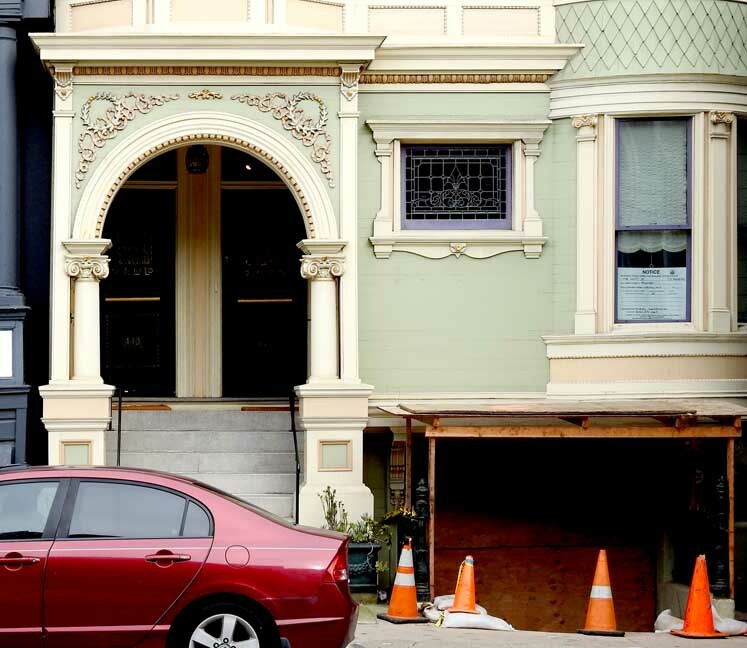 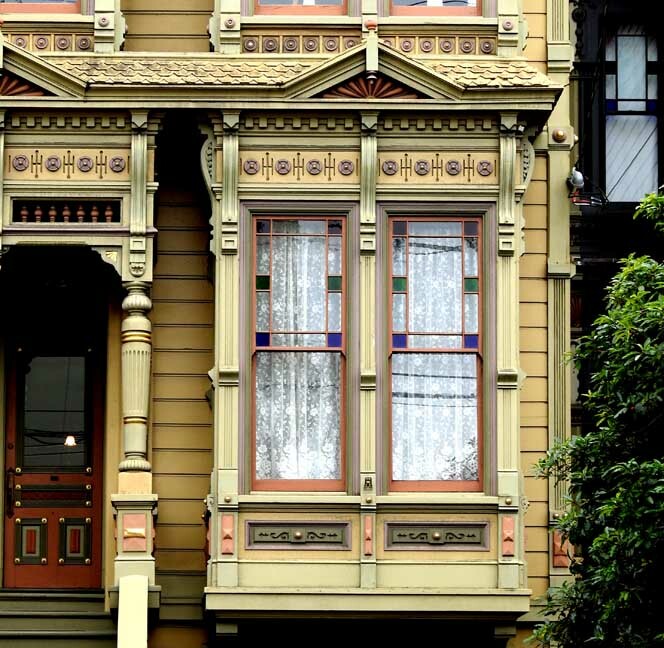 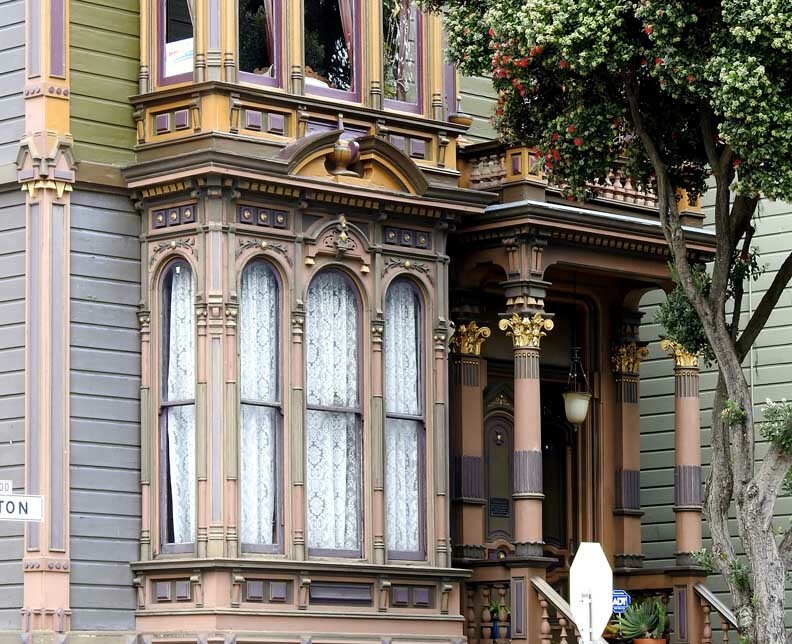 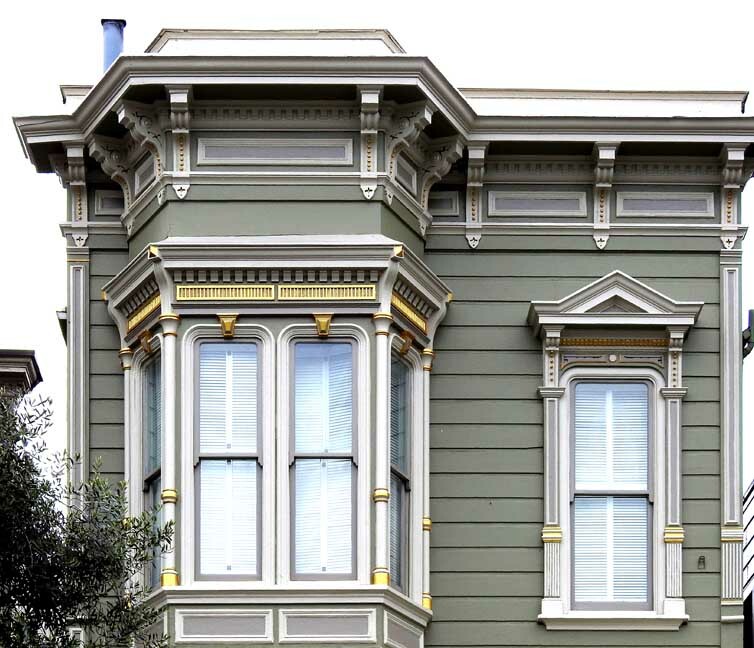 A Sampling of San Francisco's "Painted Ladies"
"Restoration of San Francisco’s Victorian ‘painted lady’ houses"
San Francisco’s Victorian building boom began after the 1849 gold rush. 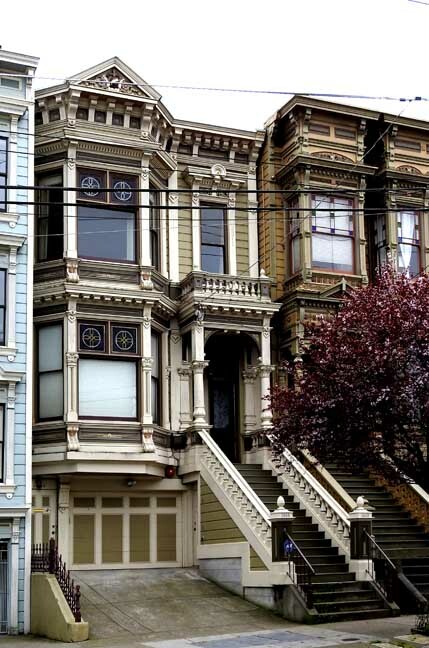 The city’s population swelled from 800 to 25,000 in a year and with the new arrivals came rising demand for new housing. 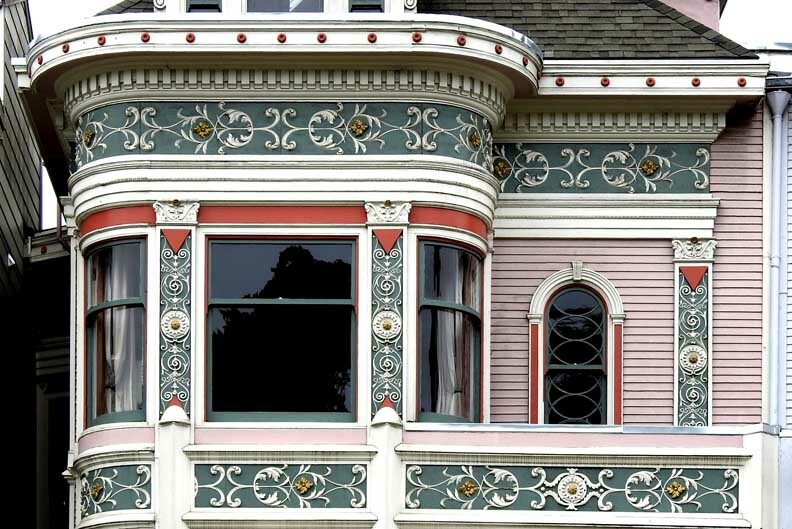 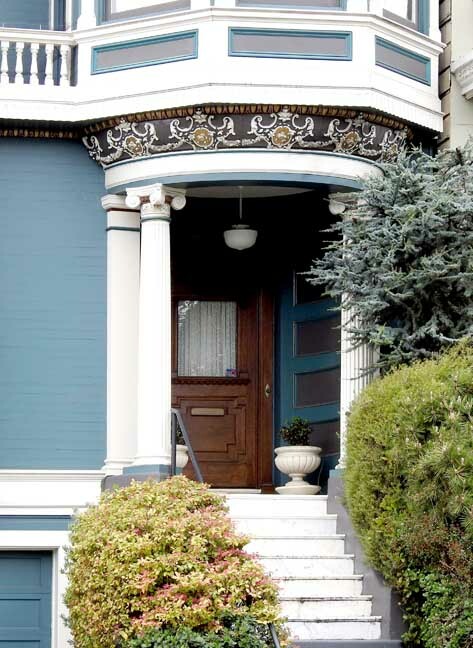 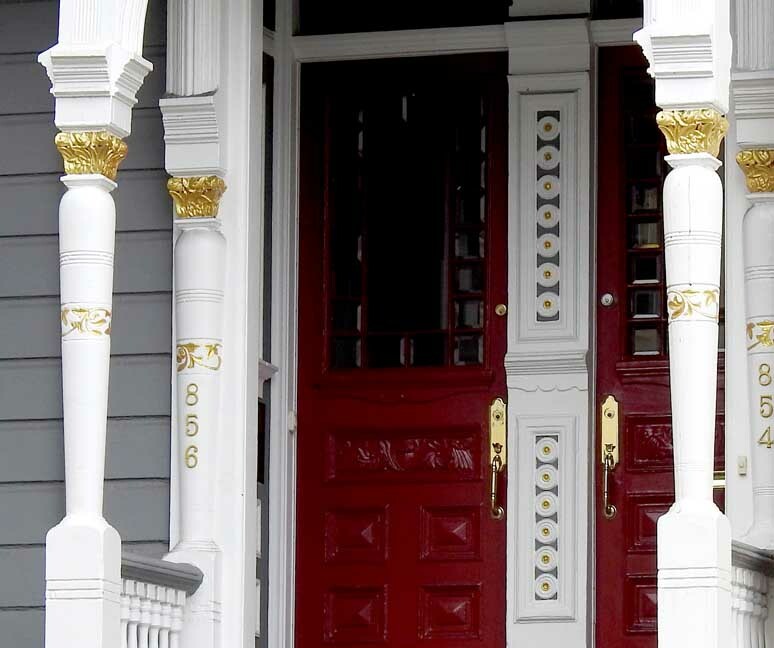 During the 1860s and 1870s, houses were built in the Italianate style, characterised by five-sided bay windows, later succeeded by the Eastlake Stick style of the 1880s, known for squared-off bays and wood detailing around doors and windows. 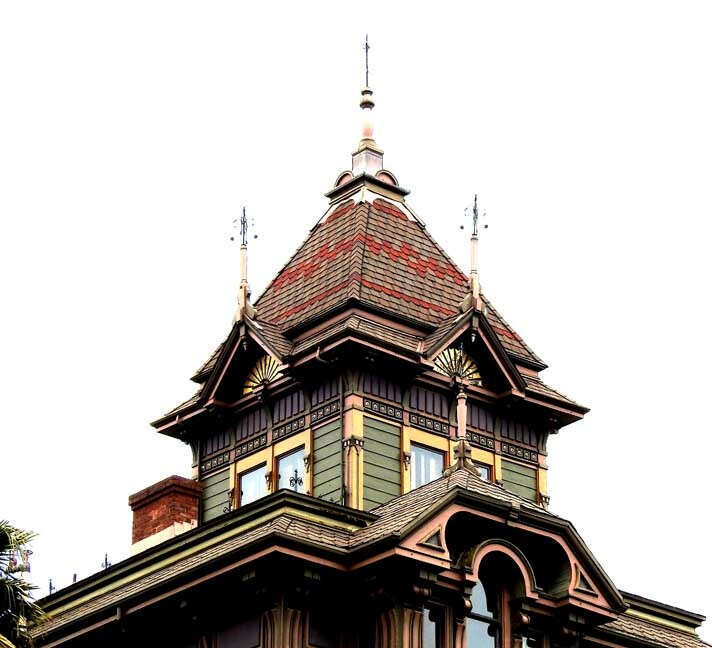 The more elaborate Queen Anne style of the 1890s is the most recognisable of the three, with its triangular roof gables, turrets and integral balconies. 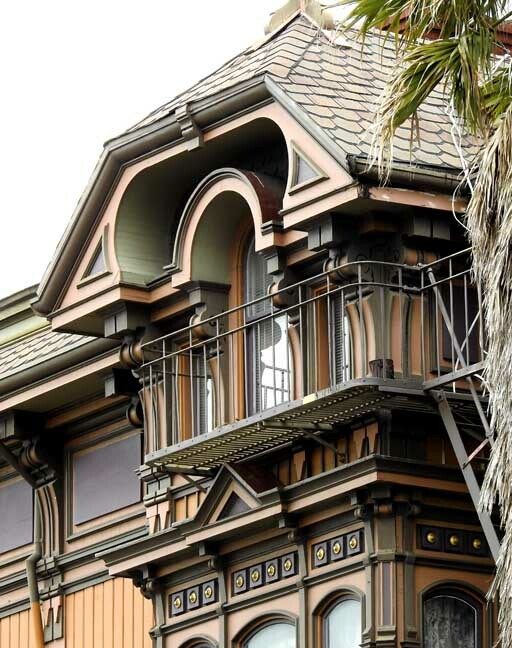 Although there were once some 58,000 Victorian homes in the city, many of them were destroyed in the devastating 1906 earthquake and fire. 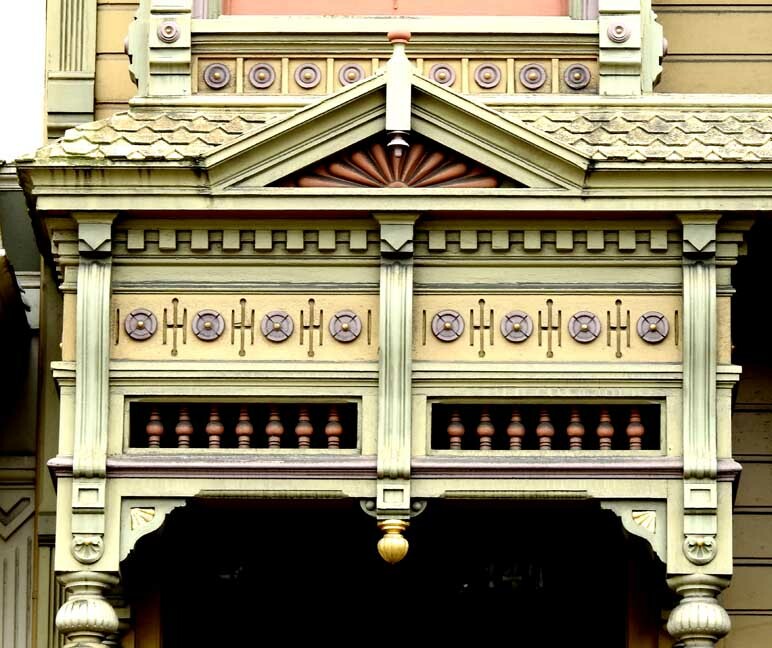 Today just 14,000 remain. 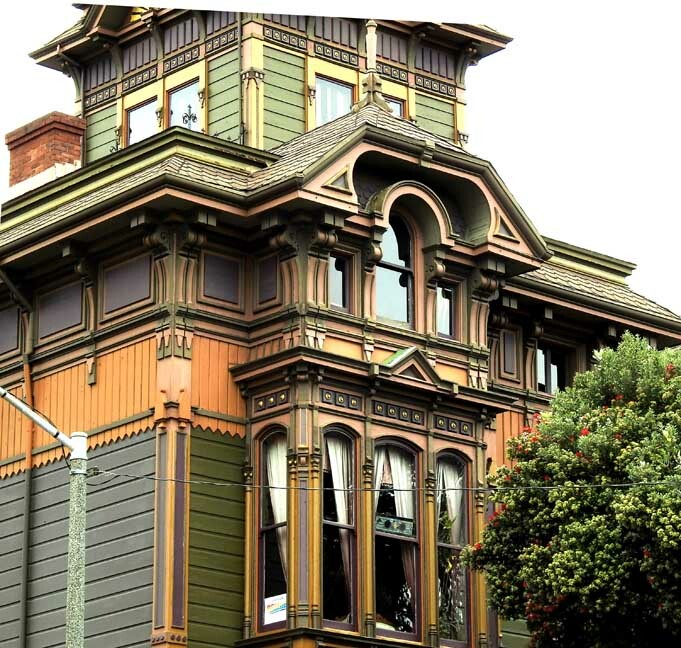 Originally, houses from this period were painted a chalky white to disguise their redwood structure and resemble stone. 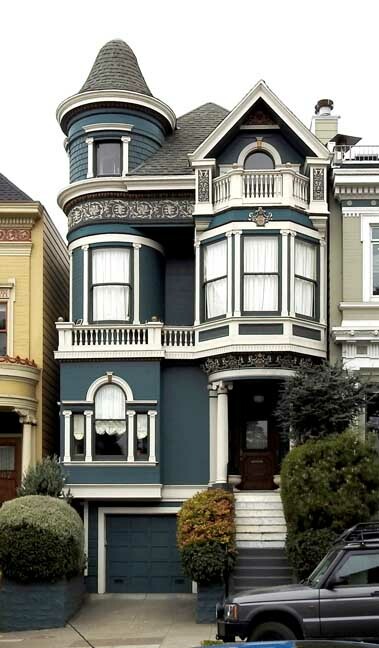 Later, during the first and second world wars, many were coated in a battleship grey, using surplus navy paint. 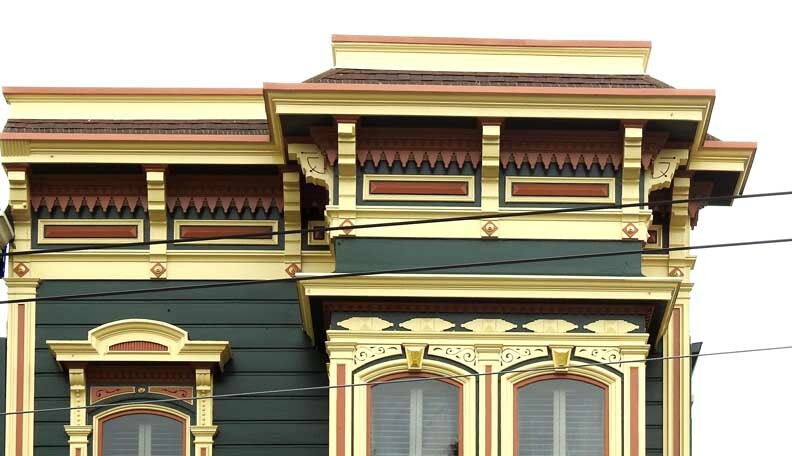 And so they remained until the 1960s, when artists such as Butch Kardum and a band of “colourists”, as they came to be called, began experimenting with vivid colours on the façades of these Victorian houses – from lime and vermilion to gold and turquoise. 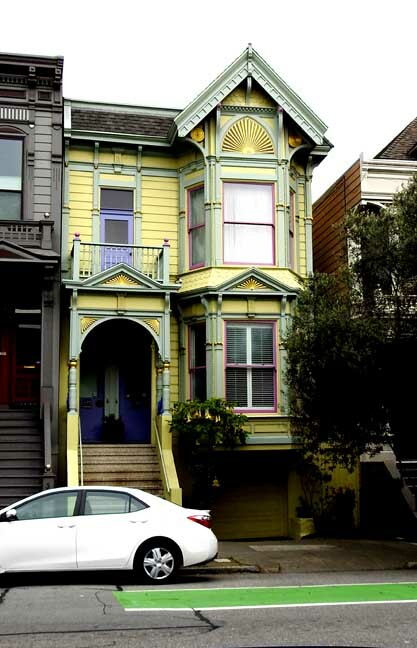 The hippies followed suit in Haight-Ashbury, people began to copy their neighbours and soon entire streets were transformed with colour. 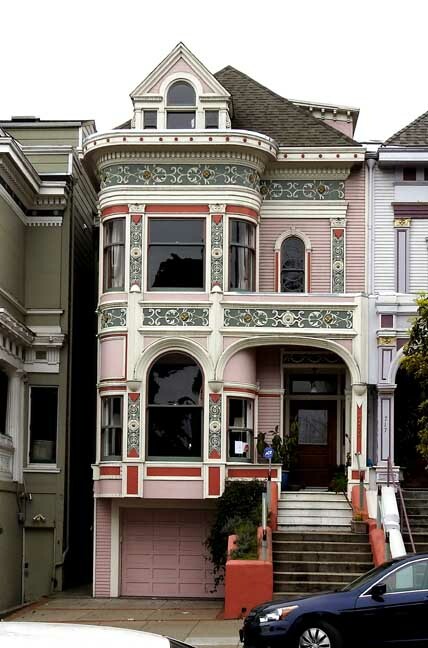 The houses were labelled the “painted ladies”. 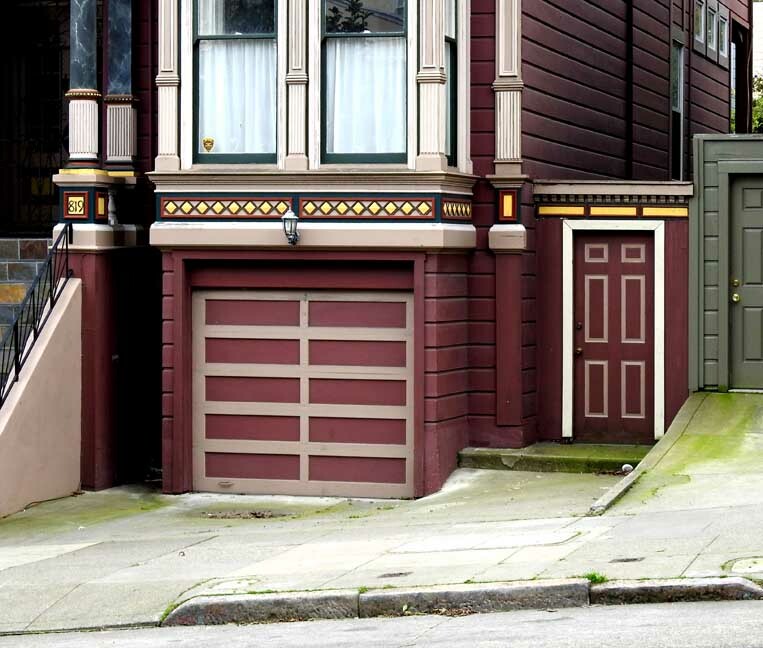 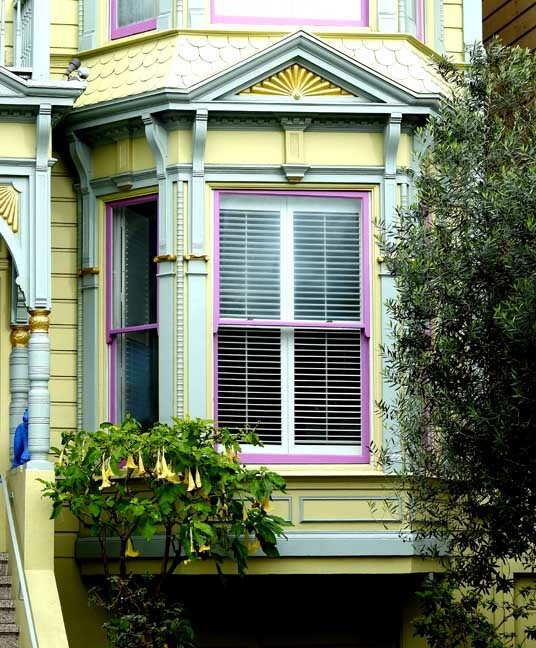 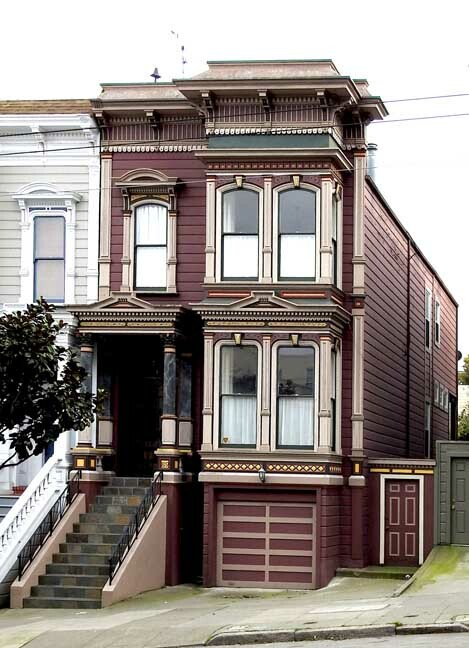 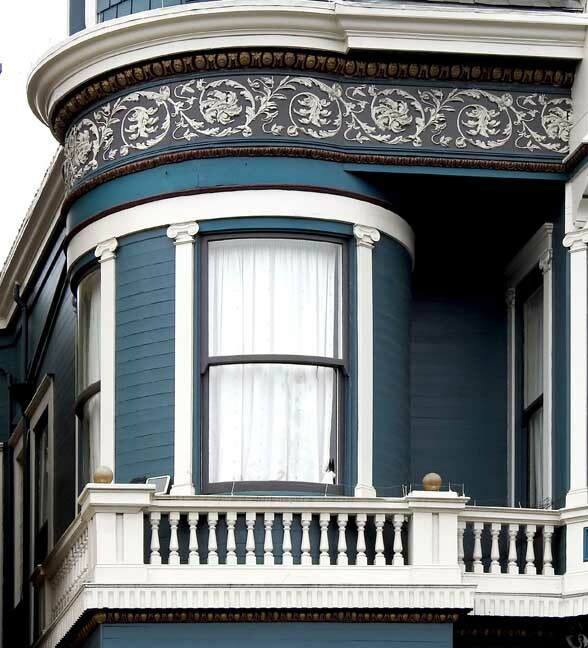 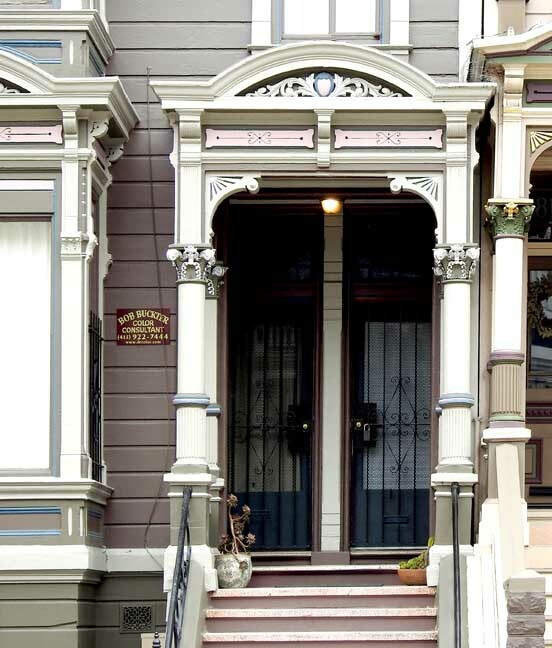 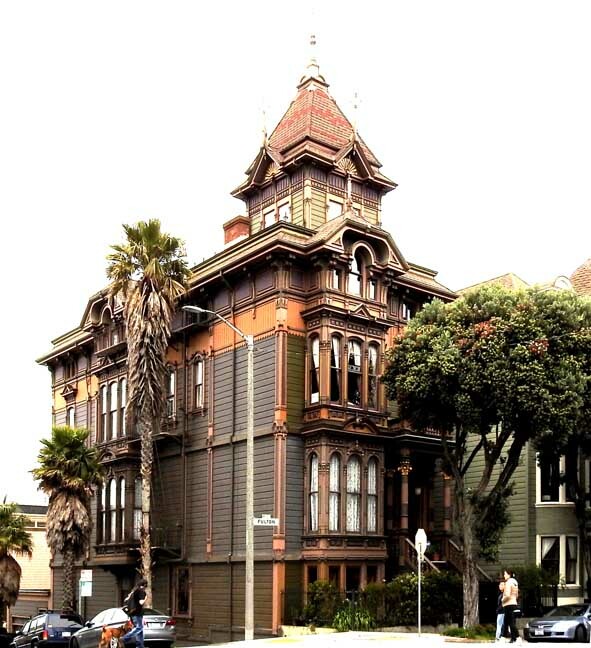 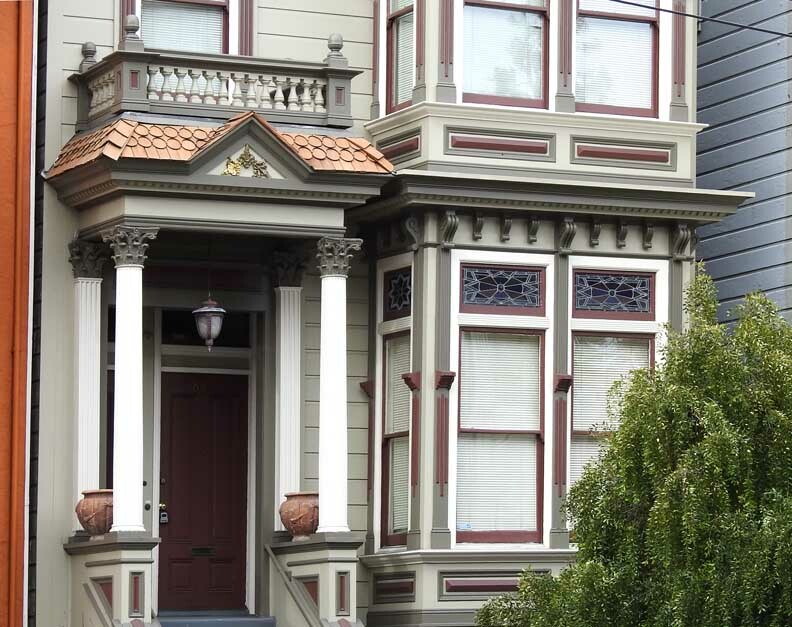 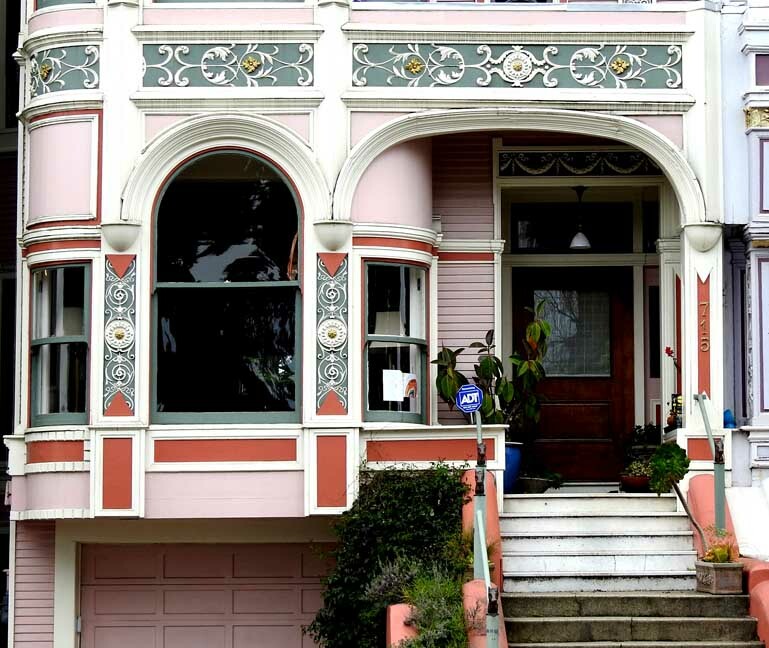 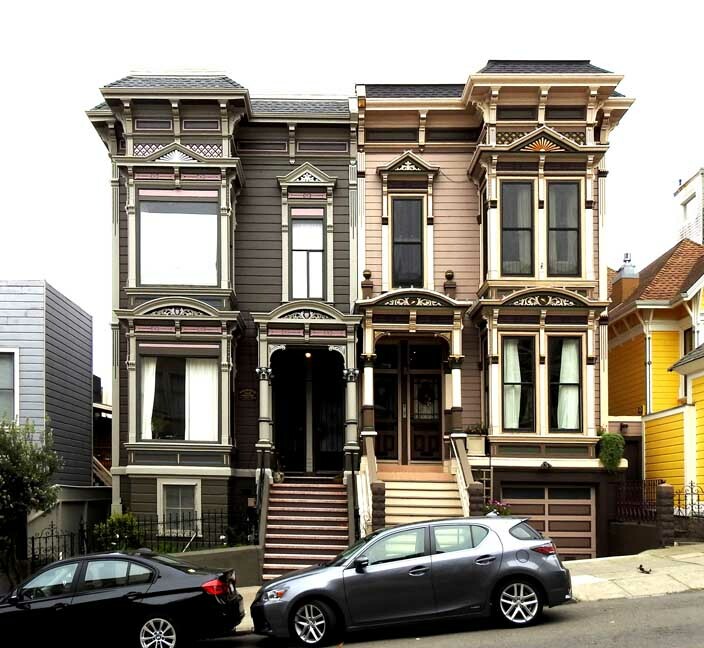 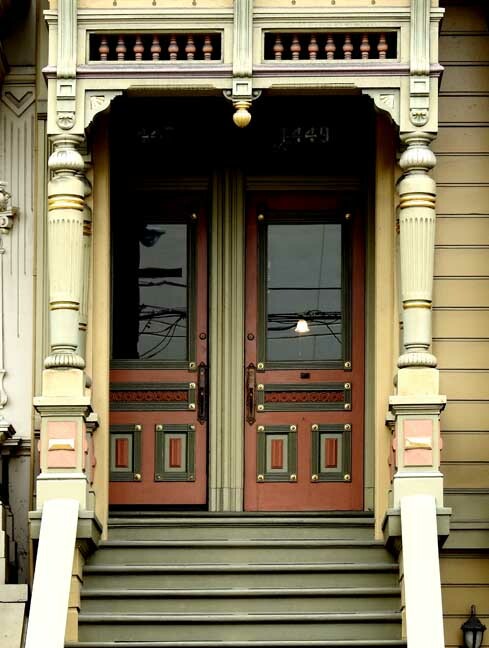 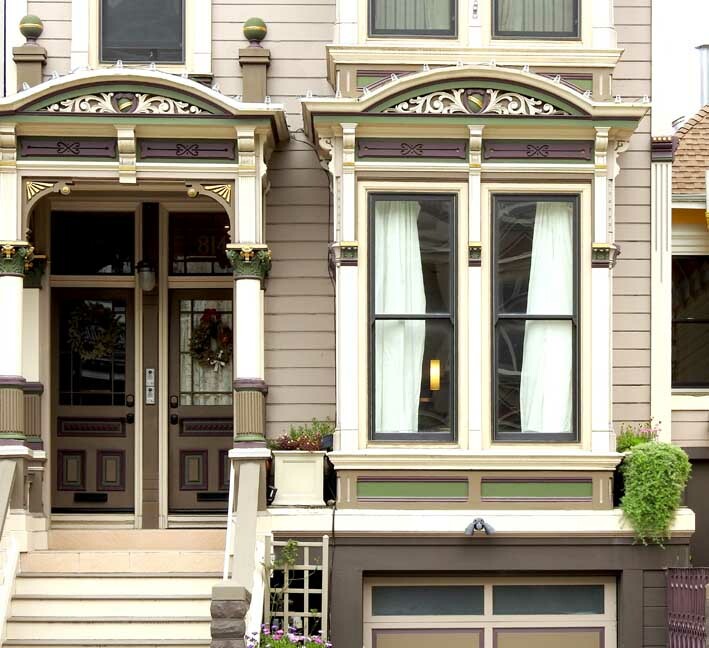 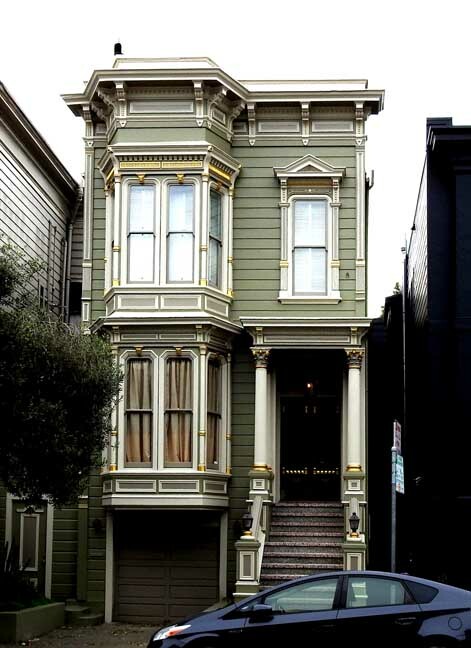 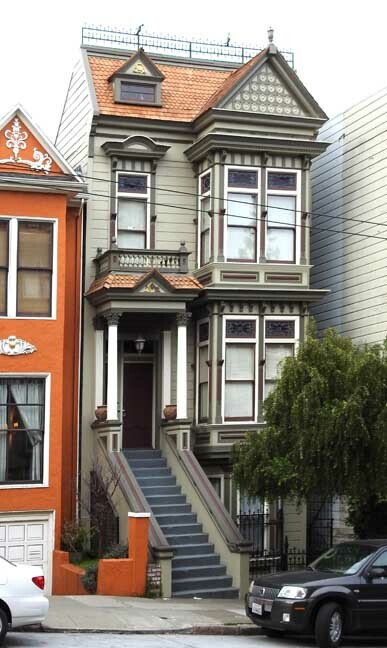 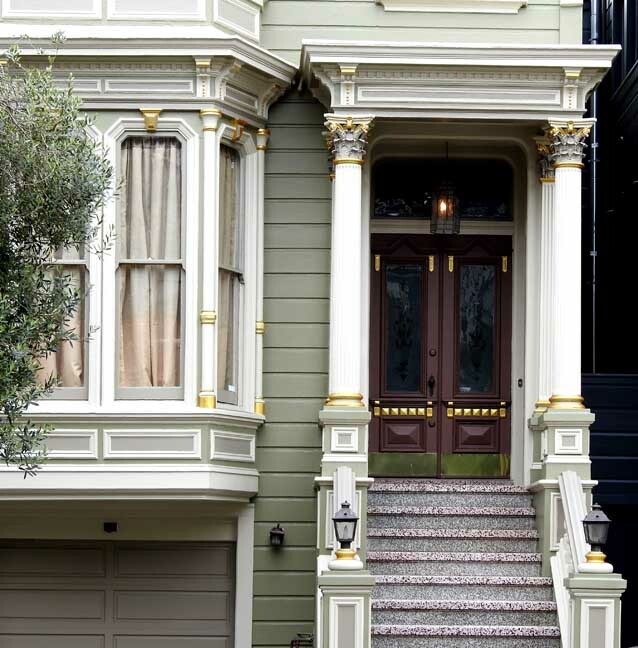 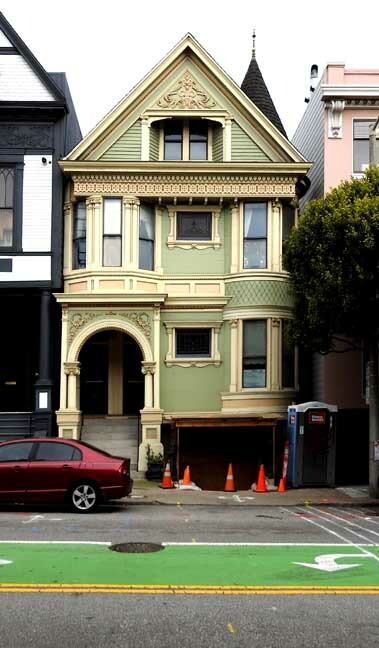 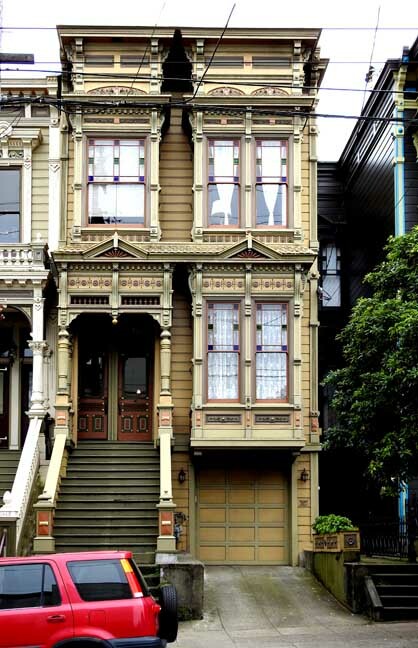 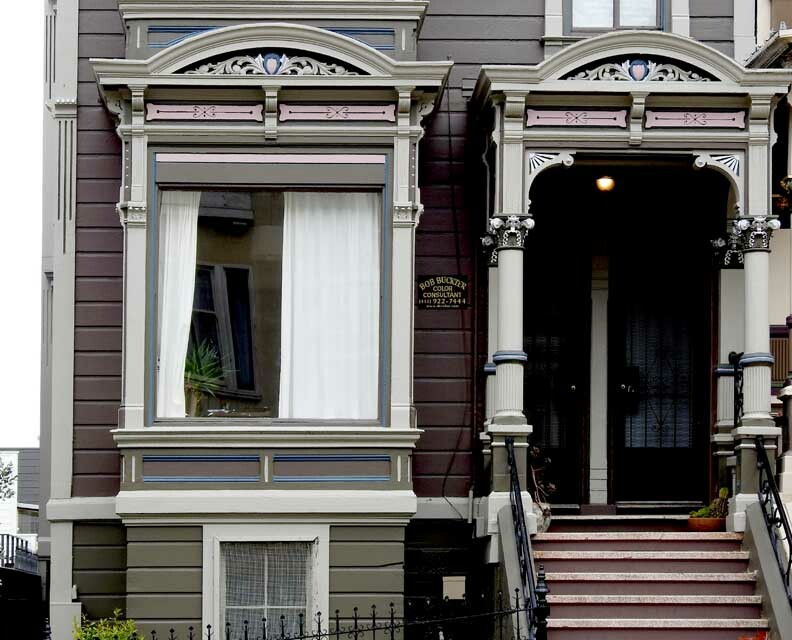 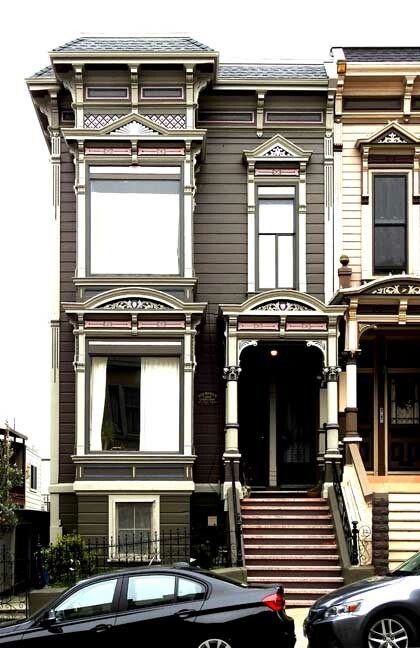 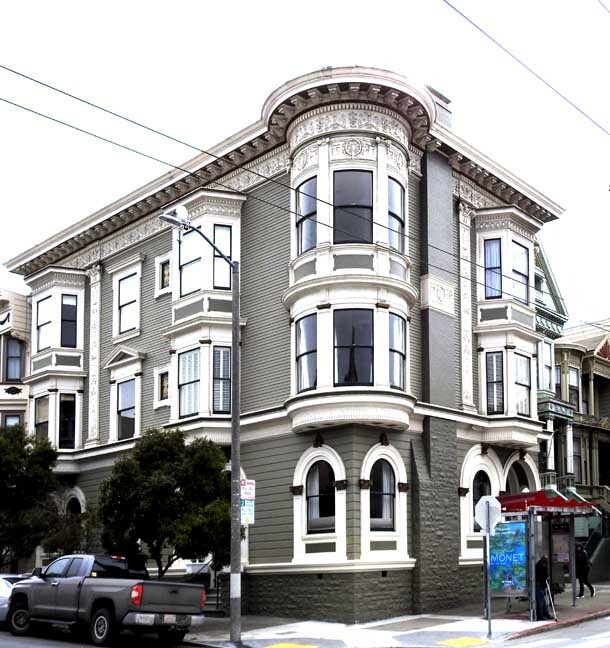 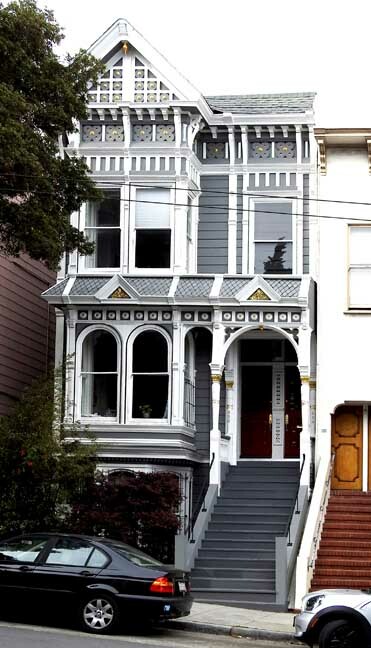 The most famous examples are a group of Queen Anne-style houses on Steiner Street next to Alamo Square, built in the 1890s by Matthew Kavanaugh and painted in soft pastels. 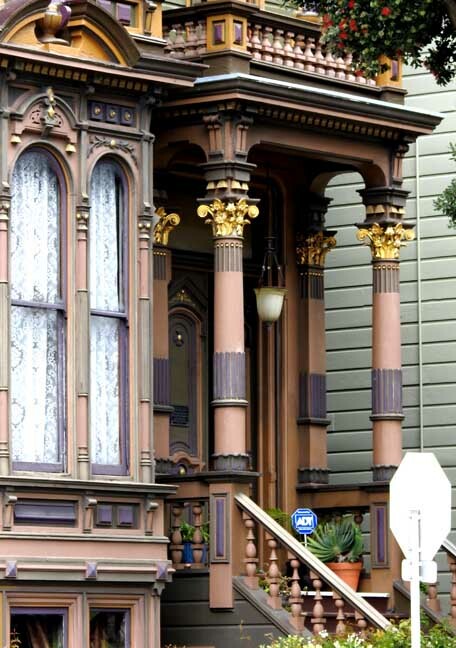 These buildings have regularly appeared in films, television and advertising campaigns, gaining the epithet, “Postcard Row”. 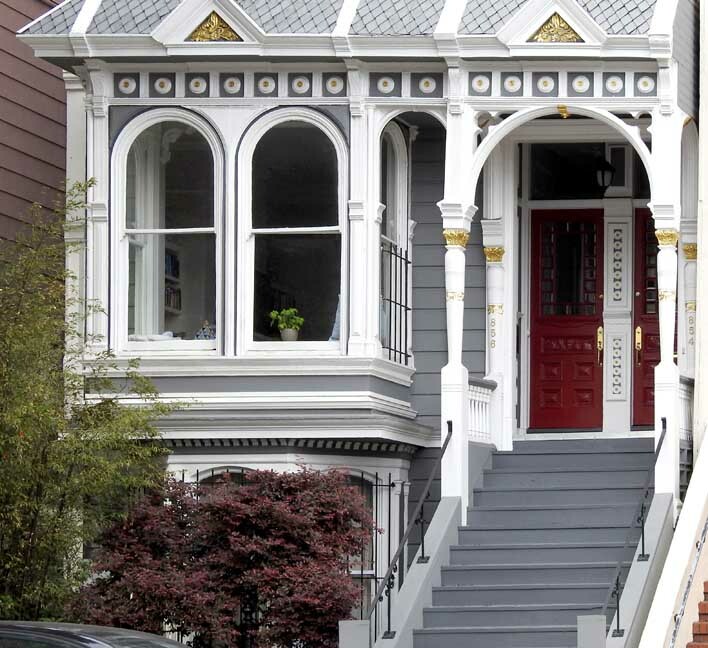 They can sell for about $3m each, although the most sought-after Victorian homes – many in the Pacific Heights area – can fetch far more than that. 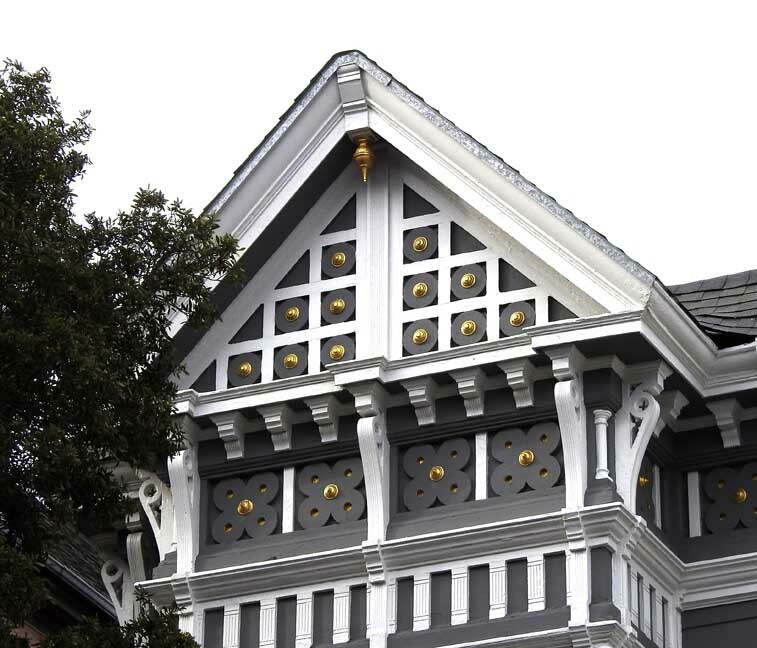 A Queen Anne-style mansion on Pacific Avenue recently went on the market with a record $30m price tag. 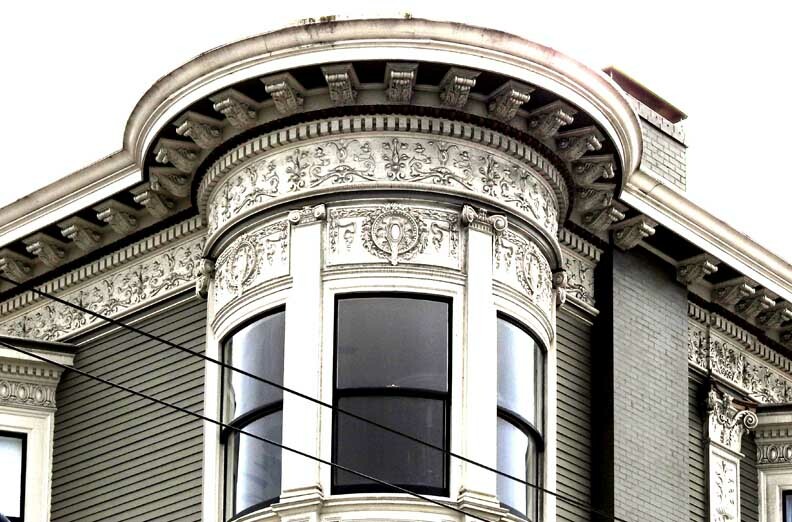 Queen Anne: Look for towers on expensive houses. 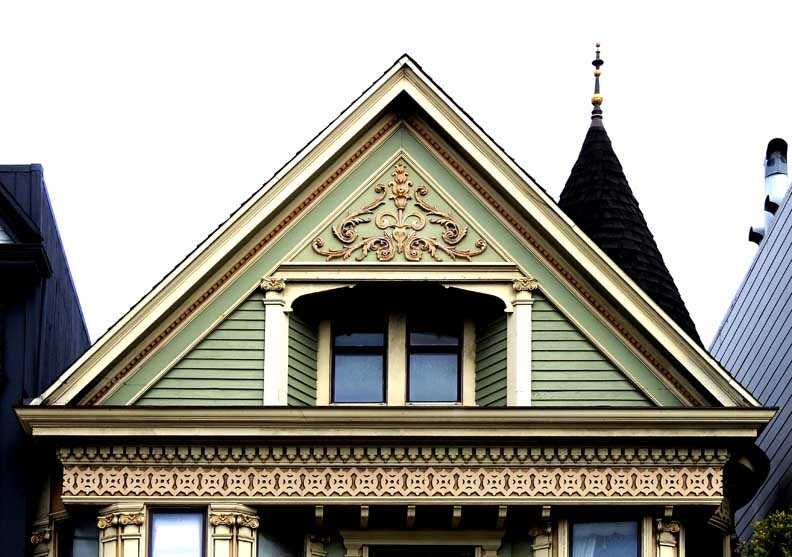 Look for large gable (pointed) roofs that cover the entire width of the house. 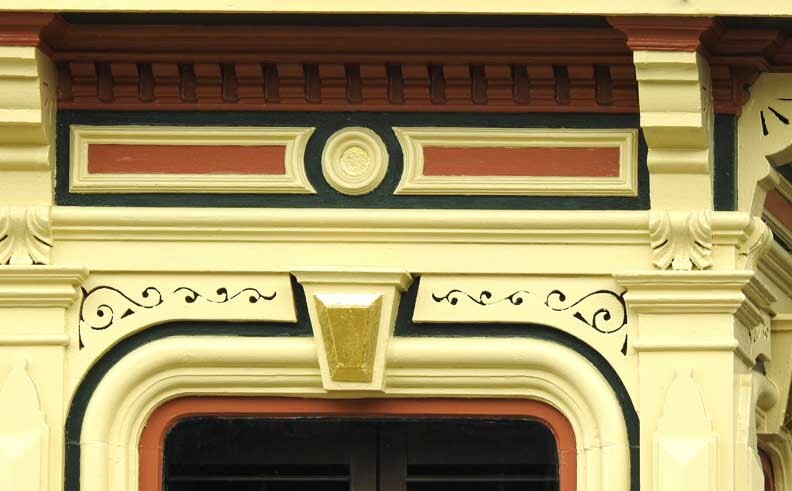 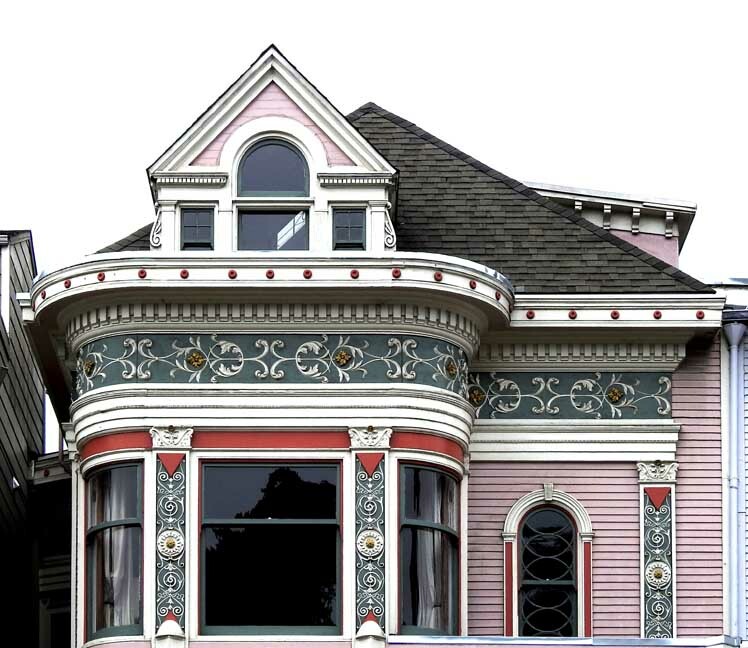 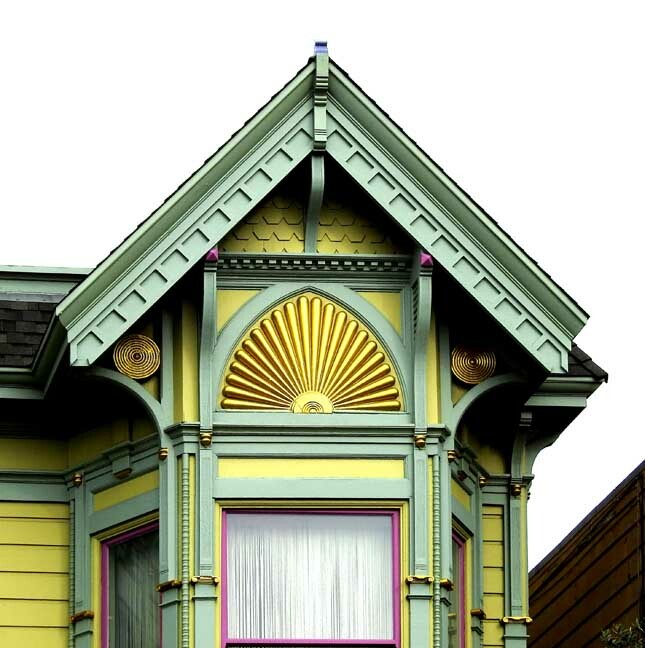 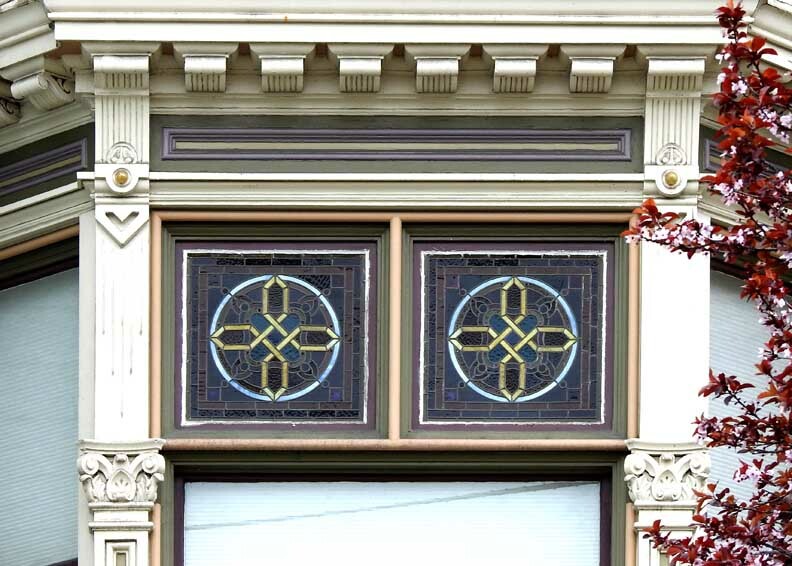 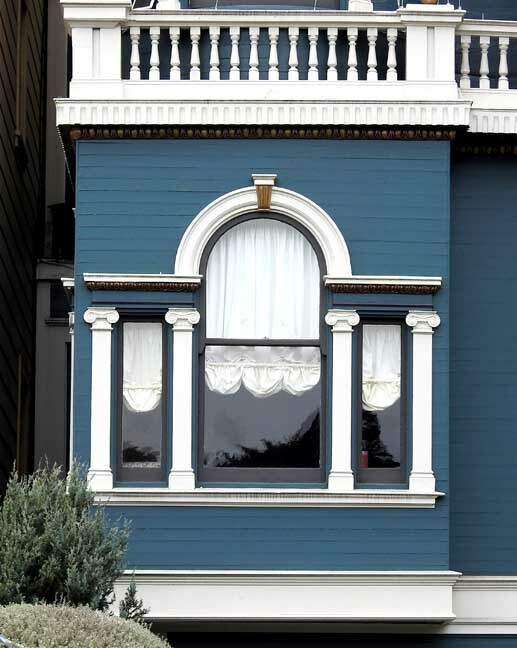 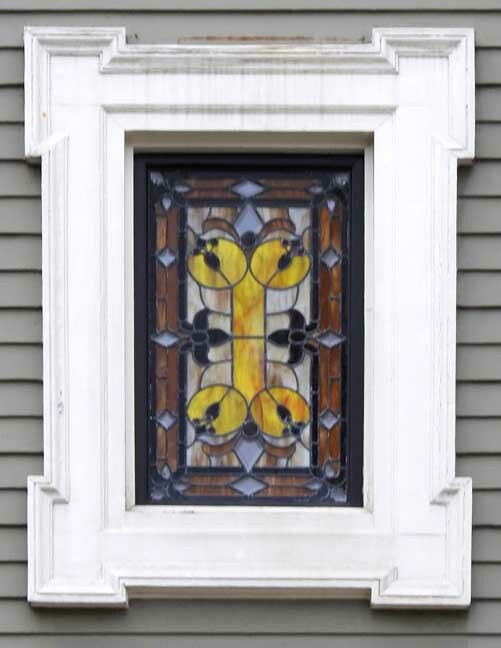 Italianate: Look for rounded windows that have decoration on top. 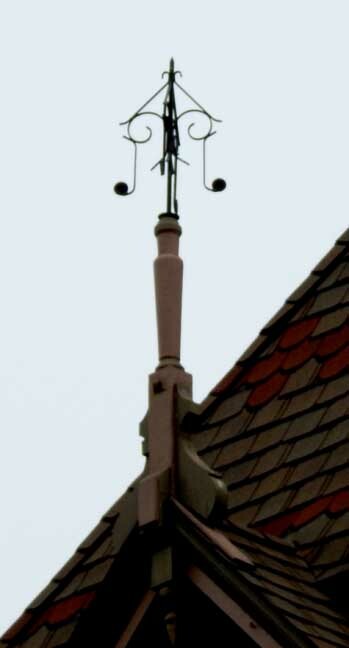 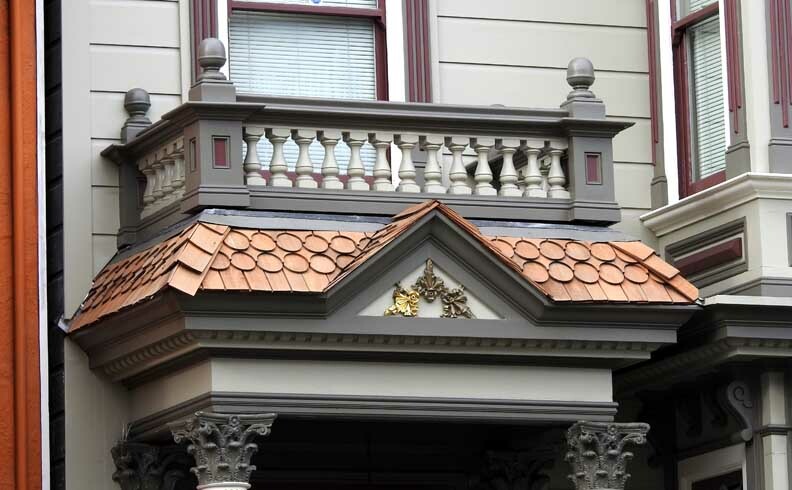 Look for large brackets supporting cornices. 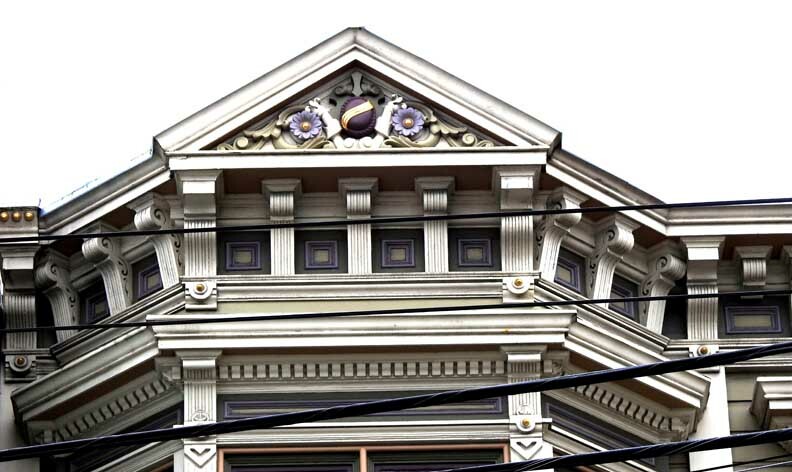 Stick style: Look for lots of "stick," i.e., wood ornamentation. 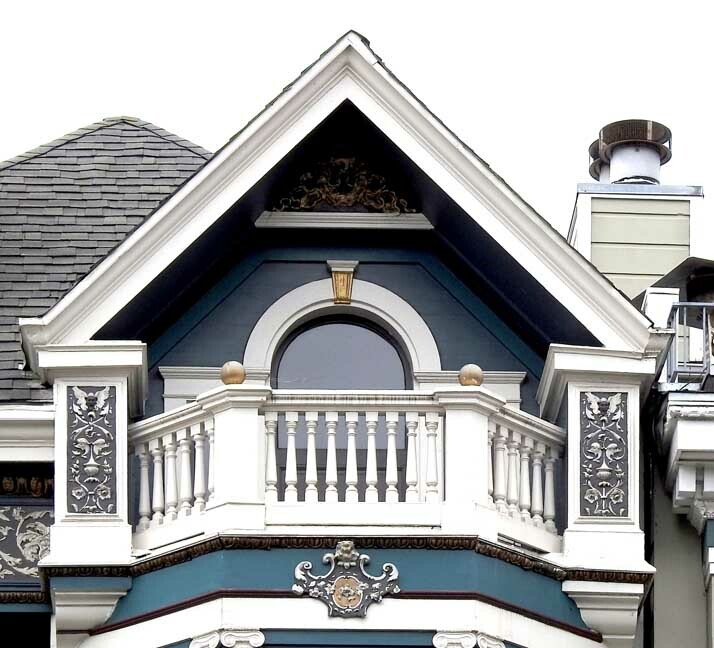 Look for Eastlake ornamentation. 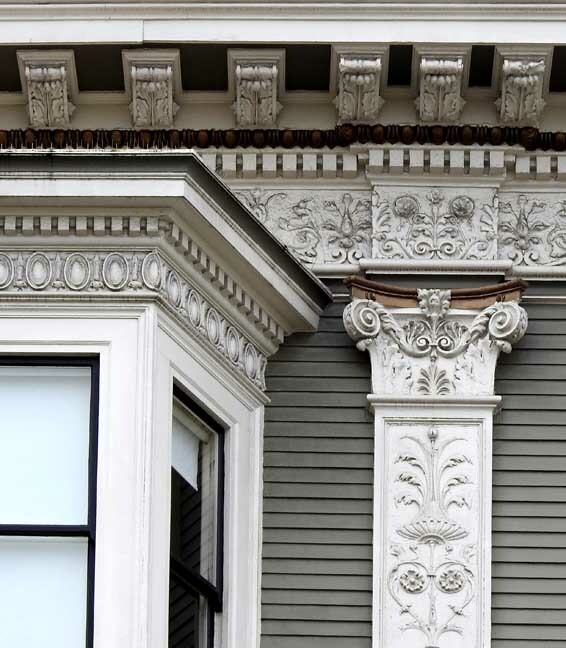 Eastlake: Look for turned columns and intricate wooden designs made with scroll saws. 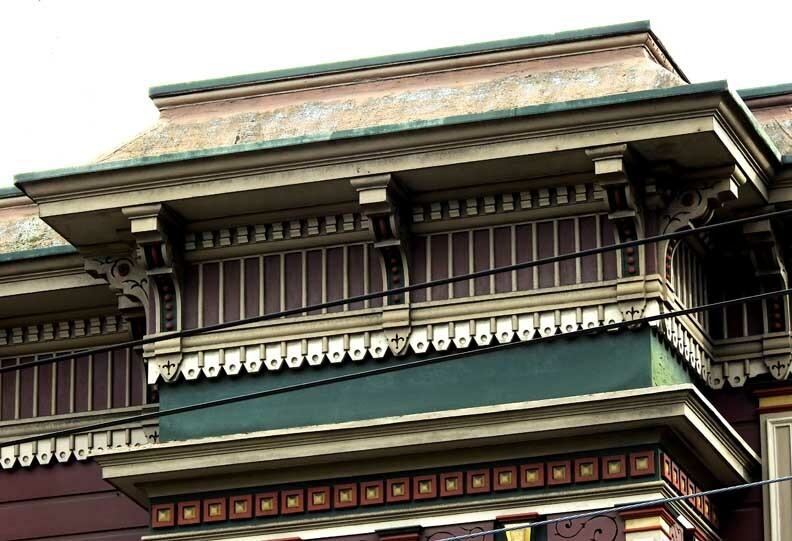 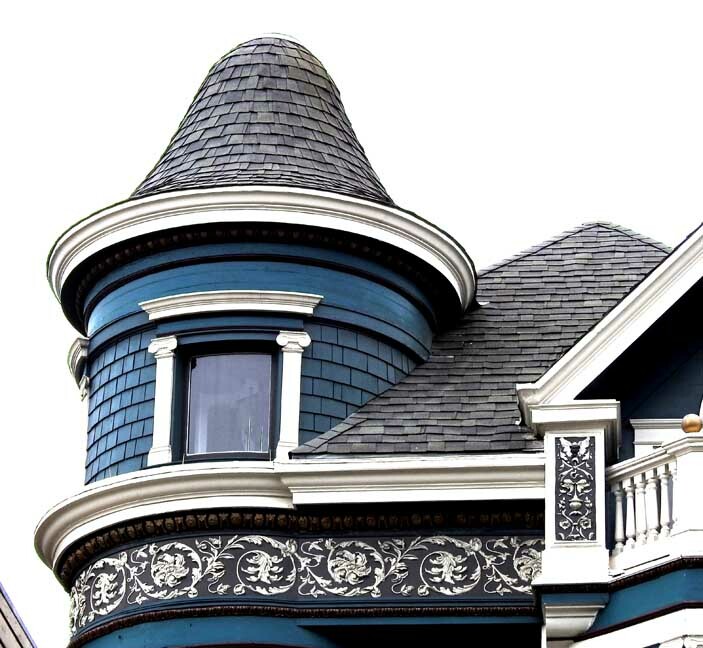 Debate about whether there is an Eastlake "architecture style" or just ornamentation used on Queen Anne and especially on Stick style. 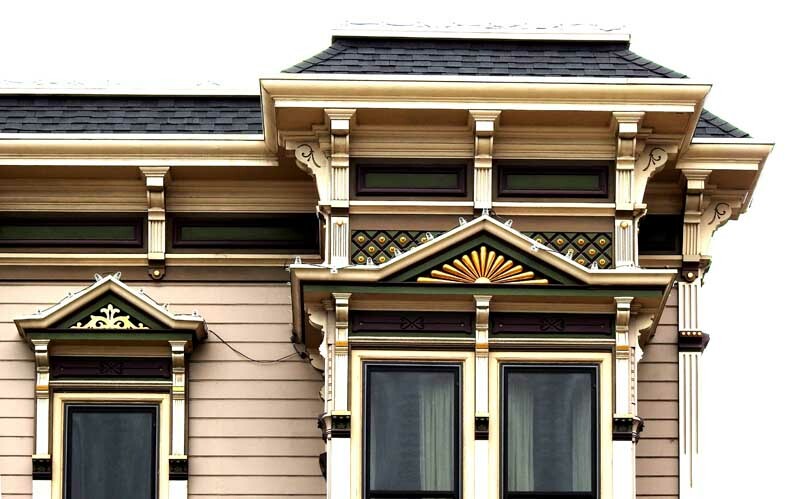 Some historians refer to "Eastlake Stick style."